The first ecological plastering machine on the world market. The S28 Urban Volta manufactured in compliance with European directives, is the answer to demands of professional plasterers. The machine that you will be the vanguard in your field. 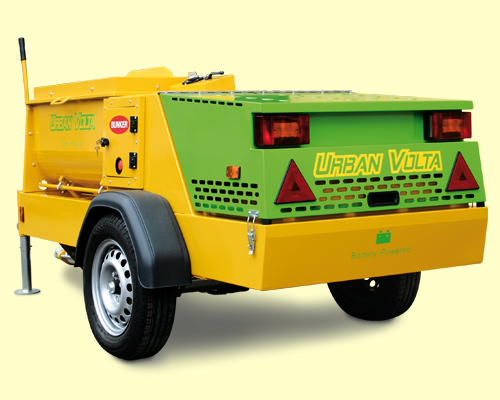 The high pressure cleaner fitted as standard equipment for total autonomy and a rapidly cleaning of the S28 Urban Volta. Suitable nozzles nebulizing the water required for mixing the product, reduce the dust which emerge during the cutting of the bags of material in the mixer. The battery technology used is the "flooded/wet lead acid" which is proven, widespread and economical. 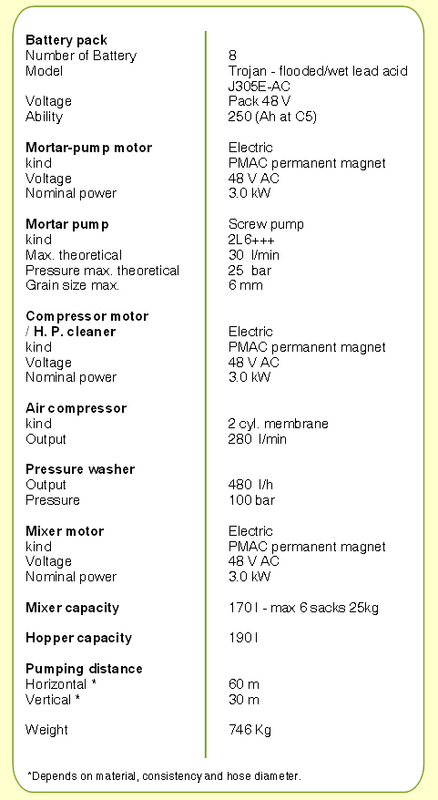 The estimated lifetime is about 1200 cycles with discharge of about 50% of the rated capacity. More deeply discharged batteries, more they age rapidly. To avoid premature wear we strongly advise you not to discharge the battery over 80%. 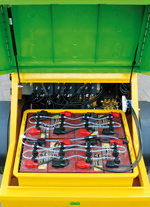 Water plays a crucial role in the functioning of the battery. The machine is equipped with the innovative and exclusive patented "Niagara system", designed to improve comfort and reduce the time and water to clean the hopper. 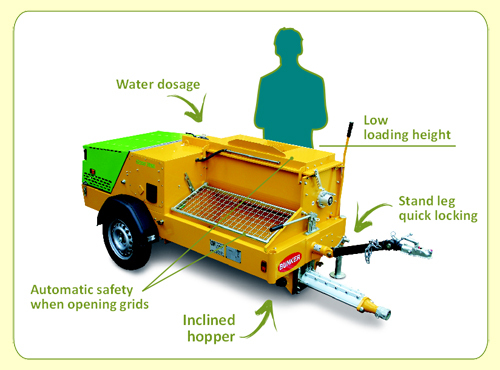 The movement of the screw pump from working position to cleaning position creates a discharge opening in the hopper and at same time causes the displacement of the screw feeder from the bottom of the hopper facilitating the cleaning of the hopper and the evacuation of the residual products. Mounted on a strong elastic axle, your S28 Urban Volta moves on the road and on construction sites with maximum stability. Its reduced weight contributes to easy installation in difficult places.